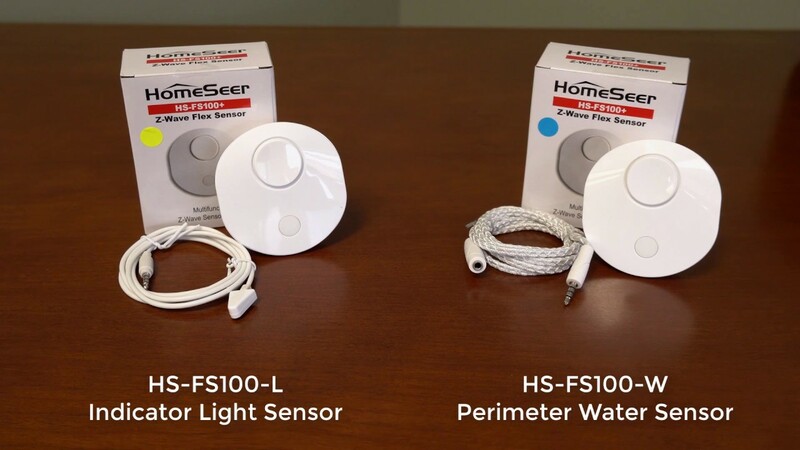 HS-FS100-W Perimeter Water Sensor Now Available! We've been working on this for a while and now it's here! Our new perimeter water sensor works with a fluid-sensing cable to detect leaks over a far larger area than most water sensors. The unit comes with a 4 foot cable but may be used with extension cables to cover a much larger area. This is a nice option for under the sink where I recently had a leak and my detector that was scooted over accidentally didn't detect the slow leak. A few weeks ago my laundry room sink overflowed. It took several hours to clean up the mess. Great idea to include a USB port to power it. I like that it can cover up to 300 feet. Would it be possible to use an extension cable between sensors. Example: I have a sump pump a sink and washer in my utility room. Could I plug a regular TRRS extension cable (like for head phones) into the unit than a water sensing cable than another TRSS extension cable and a water sensing cable, etc., etc. up to 300 feet? When will be selling additional cables? Will these cables work with the HS-LS100+? I have been doing some research on this wire. Based on the way the wire works I am going to guess that it will not work. This wire has been available for a few years. If it did work it would seem that HS would just release something that clips on the bottom of the HS-LS100+ similar to the existing probe sensor that you can attach but having this water sensing wire. I have been using the old Aeotec water sensors to inform us when the Pet water bowl is getting low (one with a reservoir). I have had the base mounted up under the bowl and the sensor such that the water level will drop below the probes and warn us before the pump starts sucking air and making noise. When cleaning the bowl I am sure the body of the sensor is getting wet/damp and that is helping cause them to fail after a couple years. I just had my second one fail so was considering other options. I was about to purchase the LS100+ and splice the cable, putting a plug in-line so I can mount the body on the wall and just have the sensor in the bowl. I would be willing to pay a little more for this one if I can easily plug the sensor in and it is externally powered. 1. Will this work to monitor for loss of water? Can I leave the sensor (even the one supplied) submerged for long periods of time and it inform me if there is no longer water detected? (another example would be in the back of a toilet to monitor when it is flushed). 2. Would there be a future offering of a "Point" Sensor also so I can place the sensor at an exact location to measure? This is not as important if the Jack contacts are documented as to which ones are for the water and which are for the Light detection (If there is a difference) so I can easily make my own. 3. Is there(or could there be) an alarm if no cable is plugged into the base unit? For the loss of water detection this should not be a problem, but if I were trying to detect water in the basement and the cable was accidentally unplugged, or not plugged in well, I would never know. This is not a deal-breaker, just something that might be nice for additional peace of mind. So can this be powered externally? I want to put one around my Air handler which has a bad habit of the drain line clogging and no one noticing the water for a few days. I don't want to trust one that's battery powered.